If like me, you felt triumphant and relieved when you heard that the TSA is pulling their full-body scanners out of airports, brace yourselves because it’s not over yet. Last week, news reports flooded out, announcing the removal of the controversial x-ray scanners from airports. Many happy readers thought that meant that we were finally abandoning the invasive procedure, but after a careful reading of the reports and the TSA’s own blog, they would realize that the TSA is simply ending a contract with one scanner manufacturer and starting a new contract with another. Manufacturer Rapiscan will fail to meet Congress’s deadline to install privacy software on its machines by June of this year, prompting TSA to sever ties. Instead, TSA has contracted L-3, Smiths Group Plc, and American Science & Engineering for new full-body scanners; the first two using millimeter-wave technology, the third using backscatter, and all three containing privacy software. While opposition against TSA’s full-body scanners was strong and vocal just a few years ago, the furor has died down significantly as travelers, for the most part, have simply accepted them as a necessary nuisance. However, with this recent development, it is time to take another look at why these scanners are so wrong. The new privacy software mandate eliminates detailed naked images of passengers from showing up on scanners, but does nothing in regards to passengers’ health. While TSA has caused trouble for passengers over innocuous things like medicine and breast milk, it has glossed over its machines’ own cancer risks. 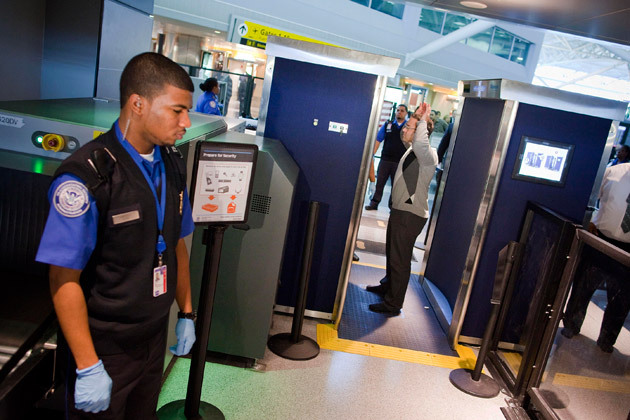 Backscatter scanners use x-ray technology, meaning passengers are subjected to a small dose of radiation when going through the scanners. Because these scanners don’t have a medical purpose, they don’t have to go through the FDA’s stringent evaluations and testing. In its run, Rapiscan screened over 130 million passengers. Now that we can forget about them, we may never learn the true health consequences of using its backscatter technology. Legally, because of a 1973 U.S Court of Appeals ruling, the TSA is not breaking the law because “airport screenings are considered to be administrative searches… [preventing] the carrying of weapons or explosives aboard aircraft.” But that has not stopped many individuals and should not stop you from filing lawsuits against the TSA (contact a law firm to file lawsuits). If we allow a government entity to take away our rights in a capacity like this, then we’ll see ourselves one step closer to George Orwell’s dystopian future. Just another example of twisted news reports, Philip. I saw the news about TSA getting rid of the scanners, but I hadn’t seen a thing about them just switching manufacturers until now. I shouldn’t be surprised. When I go through the airport, I am always an opt-out (pat down). My local airport only uses metal detectors since it’s small, so thankfully I rarely have to deal with this.